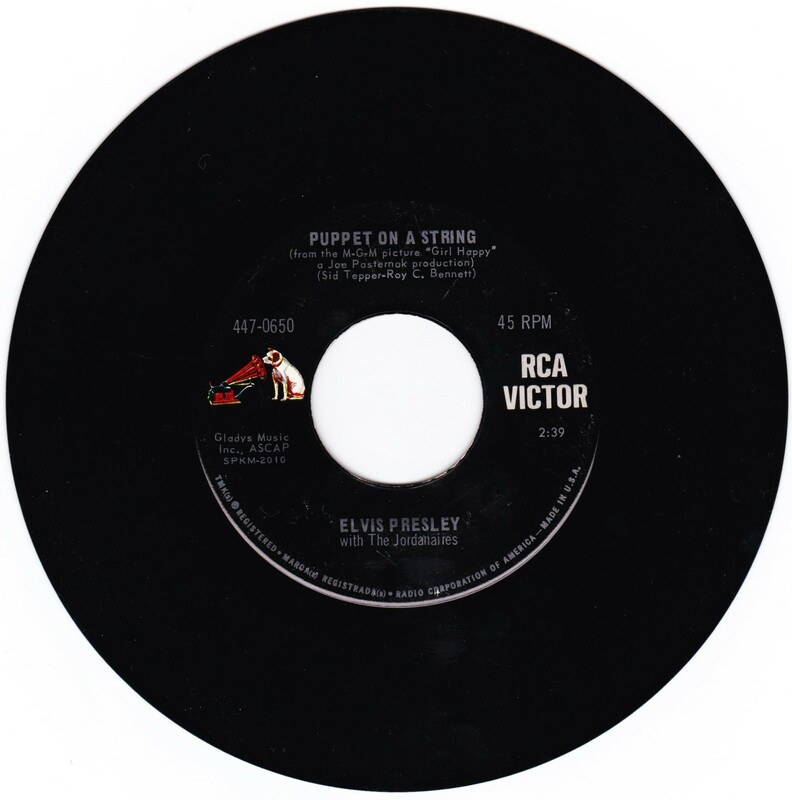 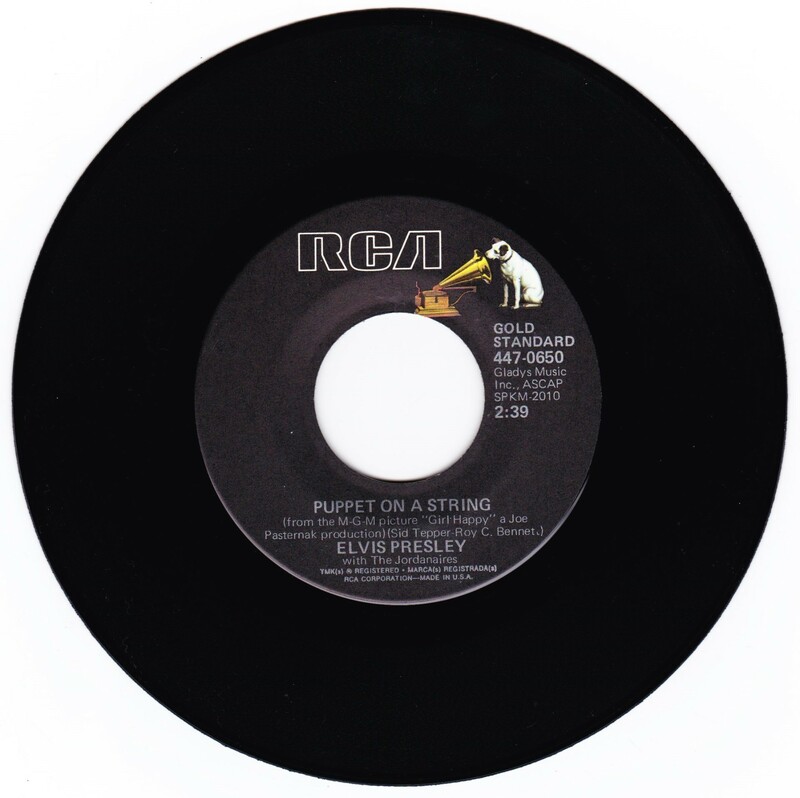 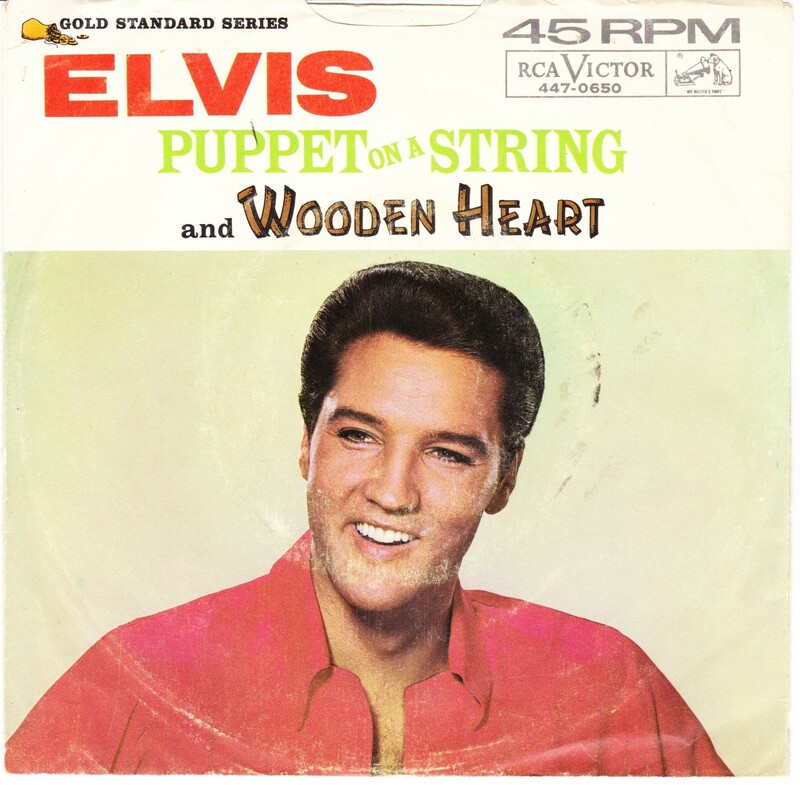 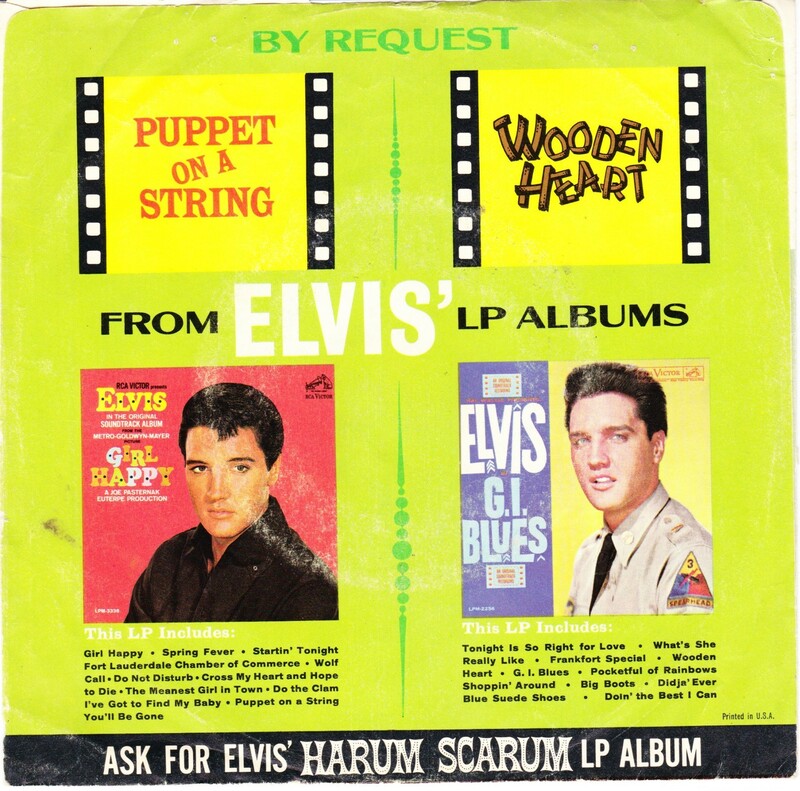 Brief History : Puppet On A String was recorded June 8th, 1964 at MGM Sound Studios, Culver City & Wooden Heart was recorded April 18th, 1960 at RCA Studios, Hollywood. 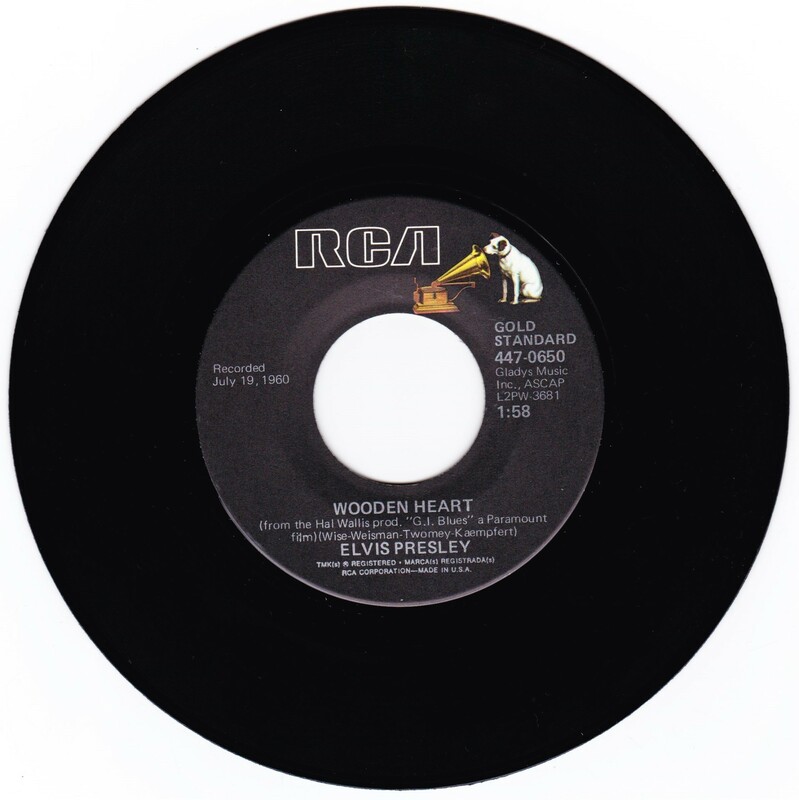 This was the second year running that Wooden Heart was released as a b - side. 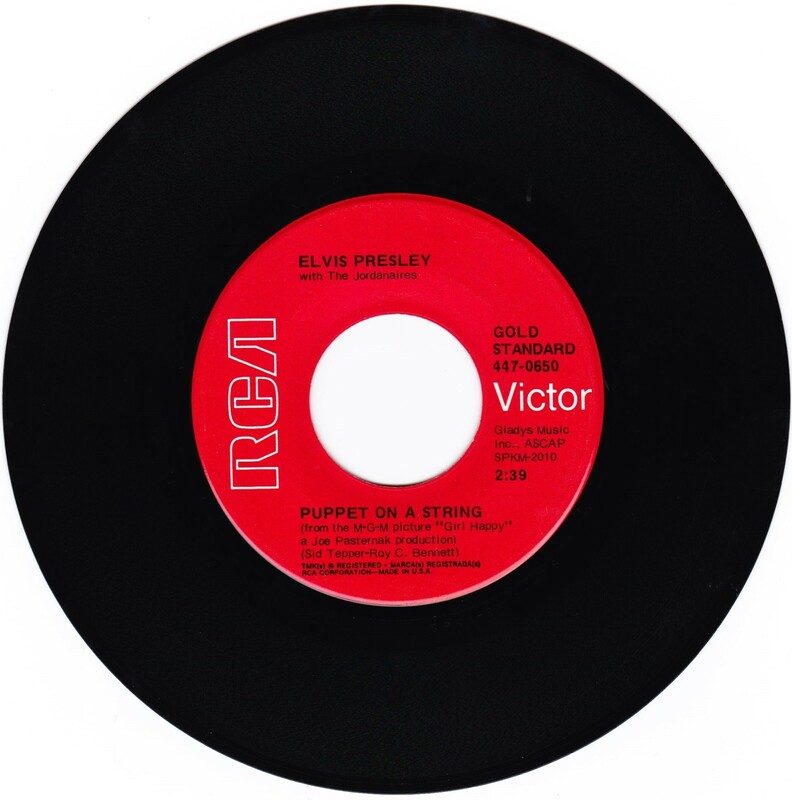 Label : 1965 Black with silver lettering & dog on side. 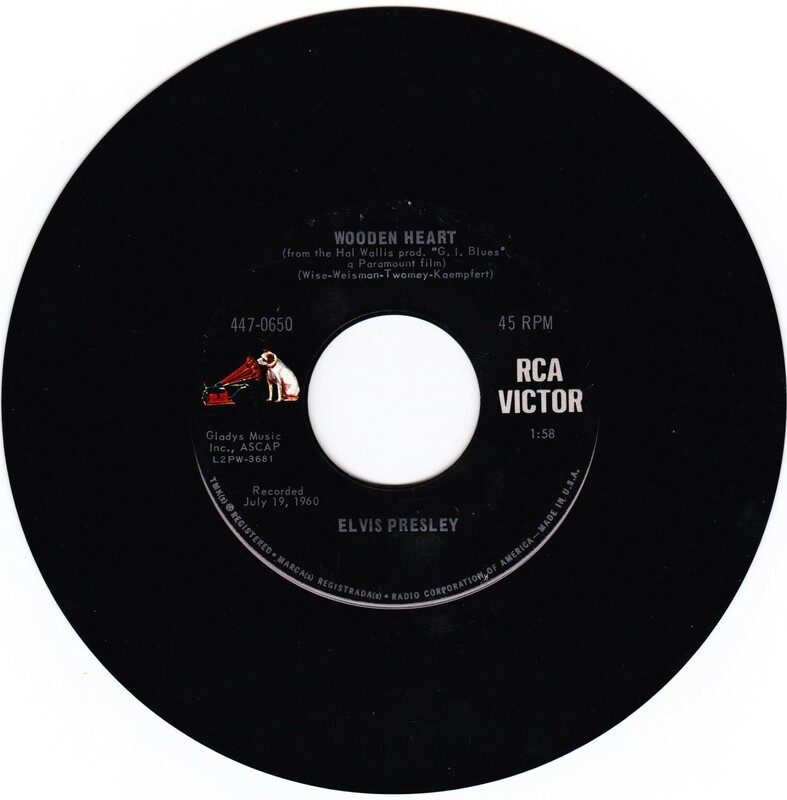 RCA logo bold white.